Fall is my favorite time of year. “Working weather” as I call it. The humidity and temperatures start to drop. Fall usually is very unpredictable being 45 degrees and rainy one day with sunny skies and 70 the next. 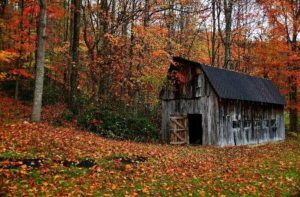 The leaves changing to warm fall colors and the presence of farmers in their fields again means the end of the landscaping season is here, or is it? Spencer Purdue owns and operates Spencer’s Tree & Landscape Solutions, LLC. 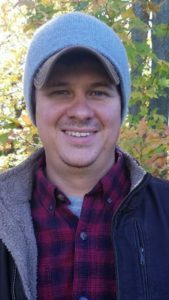 Spencer has been contracting since 2002, is a graduate of The Ohio State University, an ISA Certified Arborist, and is also a Certified Treecare Safety Professional. I view the seasons just a little bit differently than some might. I may even suggest that fall is the new spring. In many ways for myself as a landscape contractor and tree service professional I see fall as the beginning of the landscape season. Planning a new landscape, maintaining an existing one, or trimming your trees oftentimes should be started in the fall. 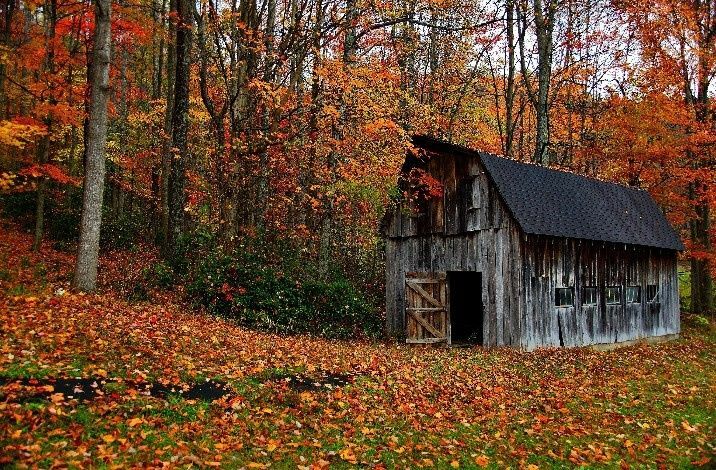 Not taking advantage of the fall is one of the fall follies I see homeowners make. Fall’s follies begin before fall is even near, by the green up of spring. The grass starts growing and the box stores have aisles and aisles of assorted varieties of perennials, annuals and shrubs set out in beautiful displays nearly overflowing and packed with as many plants in bloom as possible. Spring is now in sight and the long winter likely behind us. People who have never showed any interest before, along with the seasoned gardener, may find themselves enamored with the endless gardening possibilities running through their mind. After a long colorless winter, who can hardly blame them though? The first 50 or 60-degree day, especially on a weekend, you’ll see people flock to these garden centers in droves wandering the aisles like little children in a newly stocked toy store with eyes and jaws hanging wide open as they wonder about all the little spots around their home they can plant everything that catches their eye. And with all of the posters hanging around the center and commercials on TV showing all of the wonderful possibilities, the battle seems to be over before it has even begun. Unfortunately, this seems to be the time most mistakes are made planting and doing things that should have been done in the fall. Fall seems to be the season for missed opportunities. Missed opportunities in the late summer or fall to visit a local quality grower nursery instead of a box store chain will leave plants with mid to late summer or fall bloom times without any consideration for your landscape. There are many varieties of hardy, beautiful, blooming plants that are all but completely forgotten because they aren’t blooming during the spring rush in May. Nurseries still rely on sales during the fall and often offer large sales to bring customers into their facility. With the exception of annuals, which require spring planting, here are some things to consider for this fall. In most, but not all cases, fall offers the best time to plant in the landscape. New growth from spring on woody perennials by now has “hardened off” and is no longer actively growing. The foliar needs of the plant are coming to an end and any deciduous plants will have lost, or soon be dropping, their leaves. This greatly reduces transplant shock and post planting watering due to the plants inability to lose water through the leaves. As deciduous plants begin to go dormant the water and nutrients in the leaves gets sent to and stored in the root system conserving vital resources which allows the plant to survive through the winter. Because improper watering, either over or under watering are often the cause behind most new planting deaths in the first year, fall gives landscapers a window of opportunity to work in great temperatures where some root development can take place, but while potentially devastating heat and water loss is not as much of a risk. Let us not forget about early spring color such as tulips, hyacinth, and narcissus, just to name a few. These bulbs, which are some of the first perennials to give us showy blooms in the spring, require planting in the fall, allowing them be the first out of the ground as it starts to thaw in the spring. Of course, there is the maintenance. Herbaceous perennials or plants that don’t have a persistent woody stem such as ornamental grasses, Daylilies, and Hostas, just to name a few, should be trimmed down to, or close to, ground level and the cuttings cleaned up. There is no sense in looking at that mess all winter long. The matted down leaves and plant matter can also act as a place for many pathogens to over winter. One thing I want to point out is that if you give plants the proper space they need to grow into their natural habit and form, excessive trimming can be avoided. Most of the time only a once yearly trimming or deadheading should be required to keep things maintained. With herbaceous perennials, I find it also convenient to get the trimming and clean up out of the way so that when spring does come around there isn’t a panic to get out and clean the old dead growth off before the new starts coming up. Once the new growth starts coming through it can be much more difficult to clean up what would have been swift a pass with hedge trimmers close to the ground. You may find yourself hand picking the dead out of these perennials if you don’t get to it early enough in the spring. When it comes to trimming the bushes and shrubs around your house there are some that can be trimmed anytime, such as Yew and Barberry, because neither have a bloom to be concerned with. These type of shrubs will often require some trimming during the growing season but will really benefit from trimming in the fall. This way everything looks good throughout the winter and again when spring comes these plants will be ready to go. Other shrubs require fall or winter trimming because they bloom on new wood in the summer like Hydrangea paniculata ‘Quickfire’ or ‘Limelight’ and the many other cultavars it comes in. Hydrangea paniculata sets its flower buds in the spring. If spring trimming is done on these varieties, you will be cutting off the flower buds for that summer. This will not harm the shrub but will likely remove one of the main reasons you planted it to begin with, which are the flowers for that year. You must know when the shrub you want to trim sets its flower buds. For instance, with lilacs and weigela, they both bloom in spring and they both set their flower buds not long after they have finished blooming. If you trim these types of shrubs in the fall after they set bud, you will be removing the flower buds that were going to bloom the following spring. Even mulching can be beautiful and beneficial when done in the fall. Beds can be mulched to add fresh color through a long boring winter. A fresh mulch layer will also help protect the roots of new and established landscaping plants. These are some tips that I hope help you to get the most out of your landscape. Having a great landscape starts with having a great plan and when better to start than the fall!